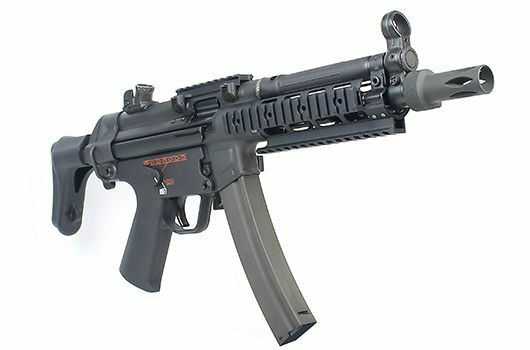 The Bolt Recoil Shock System (BRSS) was created so survival game players and military collectors alike can enjoy GBB simulated recoil and the joy of AEG sustained shooting. Since 2010 Bolt Airsoft did introduce their first models, beeing M4 models. 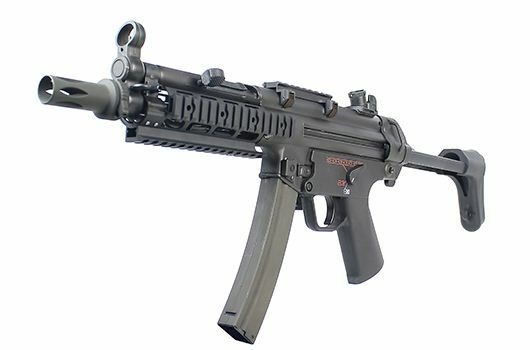 Now they made their first step into the MP5 models. when holding it I must say the weight is quite nice, the downside of this replica is the weight distribution most of the weight is in the front and you’ll notice it really quick when you hold the rifle. The fixed iron sights are pretty solid, front sight is not adjustable and the back sight has a rotary were you can adjust the sight holes. 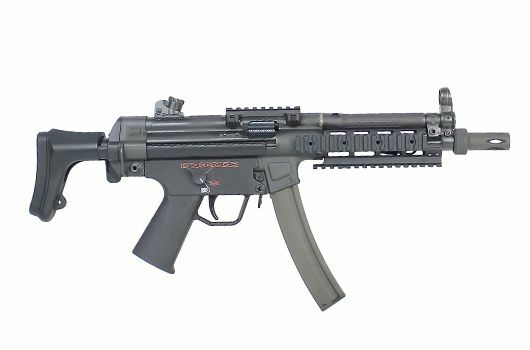 What I like about this replica is the rails on the front, most of the MP5’s that I have seen don't have any rail on the front so that’s a big thumbs up for that. The flash-hider can be removed with a lever for quick switching to a suppressor. On top there in the middle of the upper there is a small piece of rail where you can attach a reddot sight, not all sights will fit because this rail is a bit smaller than the normal picatinny rail. The sides of the lower you’ll have a ambidextrous selector switch witch is a bit hard to operate, a bit stiff but maybe after time it will go smoother. 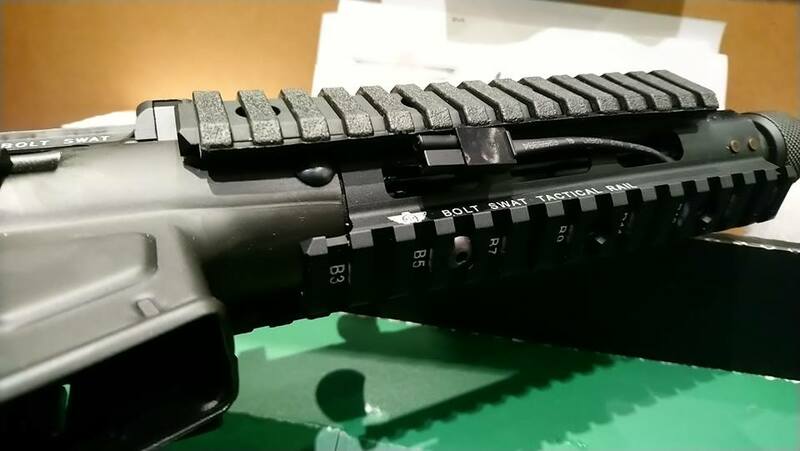 The upper is made of metal, on the left side you have a rail with rail cover (also on the right side) and the charging handle, the charging handle opens the window to adjust the hopup on the right side.